Have an adventure in your backyard! 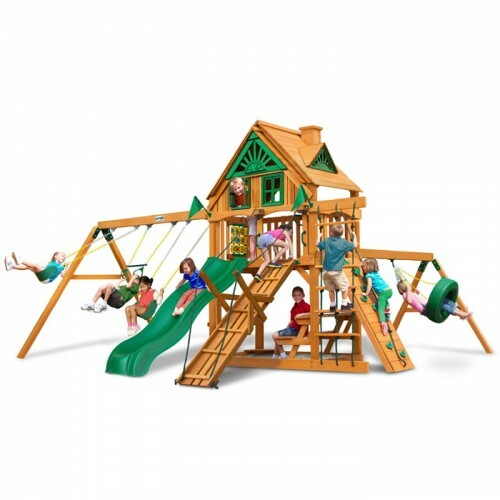 The Gorilla Playsets Frontier Treehouse Swing Set with Amber Posts includes many ways to explore with their imaginations. With the Deluxe Climbing Ramp they can embark on a journey or climb a mountain using the Rock Wall with Climbing Rope. 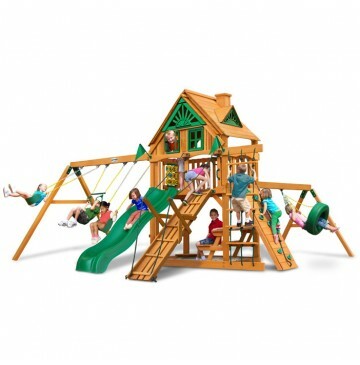 This set includes a Tongue & Groove Wood Roof featuring an Upper-Level Treehouse and working shutters.Let the fun begin! Limited 10-Year Warranty on Lumber, 1-Year on Accessories. Price includes Delivery with FREE lift-gate service by common carrier designed by Gorilla Playsets. Delivery is to residential curbside-a person(s) must be present to sign and help unload the item off the truck. The Freight Delivery company will contact you to schedule your appointment for delivery.